With vast industry experience and knowledge, we have evolved as the leading manufacturer, exporter and supplier of a board collection of Horizontal Plastic Injection Moulding Machine to our clients. Our offered products are manufactured using optimum grade raw material and advanced technology in adherence to the universally accepted standards. Owing to their attributes such as rugged construction and sturdiness, these machines are appreciated by our clients. Further, these are checked against various quality parameters and are made available market leading price. 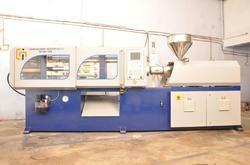 We are manufacturing "Injection Moulding Machine" as per customer requirements. Give us your requirements will make machine accordingly. 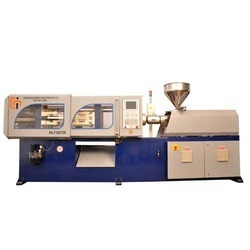 We manufacturePlastic Injection Moulding Machine 80 Ton for the beneficial tie ups with varied kinds of reputed tool rooms. Number of heating zone 5 nos. 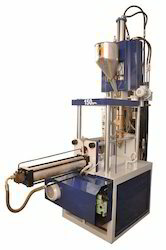 We are Leading manufacturer & supplier of "Plastic Mug Making Machine". Also doing export in Iraq, UAE, Saudi Arabia, South Africa & Gulf Countries. 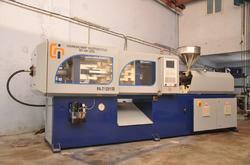 Keeping in mind the diverse requirement of our clients we are involved in offering a wide gamut ofInjection Machines. 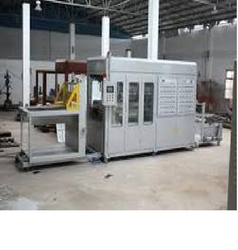 Our ranges of Injection Machines are extensively used in different places. They are excellent finished during the whole processing in our organization. We are considered as one of the trustworthy and prominent organization of this industry, due to our utmost efforts for maintaining the quality. Our products are widely appreciated among our clients due to their salient attributes. Furthermore, our products range is available at market leading prices. We offer qualitative range of Horizontal Plastic Injection Molding Machine that are employed in various industries. These are manufactured with precision at our state-of-the-art facility using quality material. Necessity assessment will be done personally to find suitable machines relevant for the end product. These precisely engineered machines work on modern process technology for optimum efficiency. We are exclusively engaged with our expertise in manufacturing & supplying a wide assortment of Servo Horizontal Injection Molding Machine. This machine is manufactured using premium quality components and other raw material with the help of our skilled professionals. Our machine design has a simple, robust and attractive, heavy duty integrated casted five point pin toggle construction. The machine offered by us is tested on various industry parameters in complete compliance with the universally accepted standards. For our reputed clients, we bring forth an excellent range of Horizontal Injection Machine. These machines are designed by making use of updated technology and utmost grade raw material, following set universal norms. Our offered product is well-known in the market for featuring variegated attributes like consistent performance, remarkable quality and comparatively low maintenance. Offered products are checked as per industry set parameters to ensure the entire range is free from any sort of production defect.